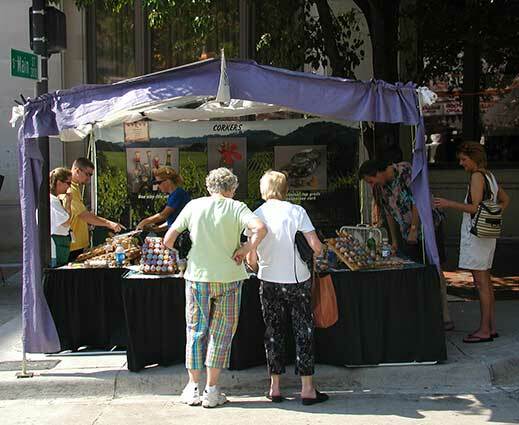 Welcome to the Wonderful World of Corkers! Our top-grade, tapered, nonporous Portuguese corks are fitted in a white birch or maple handle: no endangered or exotic woods are used. The handles are inset with beautiful medallions crafted in various art media: kiln-fired enamel on copper images, precious metal lusters and Millefleur style Murano glass. To keep our collectors happy, we are constantly introducing new designs and styles. Not only attractive, Corkers are universal bottle stoppers that last for years. 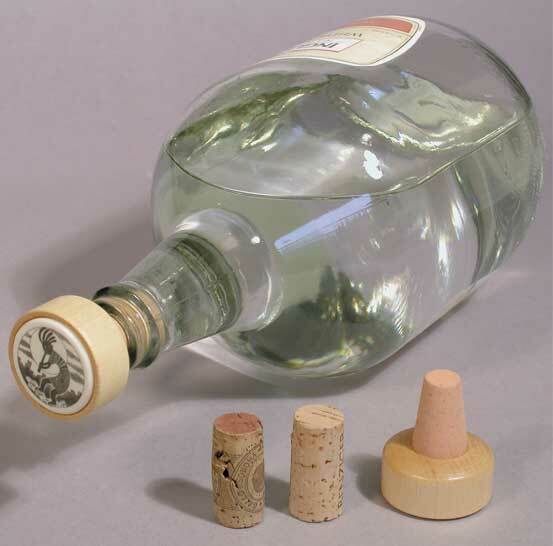 The wider tapered cork fits a wide array of bottles with an airtight, leakproof seal. The nonporous cork will not absorb liquid. Corkers won’t swell and they don’t leak: you can safely lay non-carbonated beverages down in the refrigerator. Corkers don’t absorb flavor: use them in wine, soda, oil, juice bottles. Rinse and wipe between uses, no flavor transfer! Carbonation is preserved in champagne, soda, and beer (please keep refrigerated, unagitated and upright for best results and observe all precautions when using with carbonated liquids). Regular corks that comes with the bottle are porous. They breathe standing up and leak laying down. Porous corks absorb moisture: when removed from the bottle, bacteria grows inside the cork, and can contaminate beverages if reused. 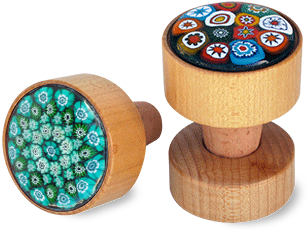 Regular corks are difficult to use, either swelling and getting stuck, or drying out and becoming brittle. Typically, regular corks not only leak in the refrigerator leaving a mess to clean up, but they break when attempting to remove them from the bottle. Corkers are easy! Push gently but firmly into the bottle. Since it's tapered, you don't force the cork all the way in: a moderate push gets an air-tight, leakproof seal! To remove, turn and lift the Corker as if unscrewing a lightbulb so you won't snap the cork! No bending! (See clumsy friend/relative insurance on About Us page). 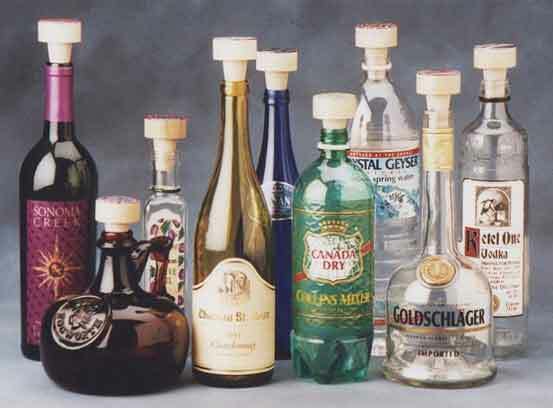 Corkers fit a wide array of bottles: Champagne, soda, craft beer, oil and vinegar, juice, water bottles, you name it! Corkers create an airtight, leakproof seal in most any bottle. Corkers are tapered: the graduated cork is smaller toward the tip and becomes larger nearer the handle. You simply push gently until you feel resistance. It sits higher in a smaller opening and lower in a larger opening: one size fits all!